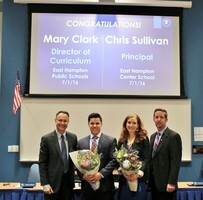 There will be a Board of Education Meeting on Monday April 22, 2019 at 6:30 at East Hampton High School, T-Bell Room. The 13th annual East Hampton Elementary PTO Pasta Dinner, Art Show and Basket Raffle is being held on Thursday April 11, 2019. Dinner served by Memorial and Center School staff. Cost is $5 per person and advance reservations are required. Spring photos will be taken at Center School on Thursday April 4, 2019. 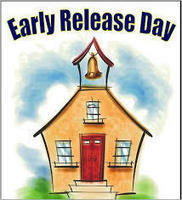 Early Release for Students 3/29/19 Teacher Professional Development. 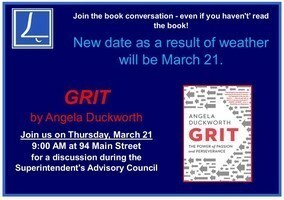 Join the Superintendent of Schools for a book discussion, on GRIT by Angela Duckworth. The discussion will take place over coffee at the monthly Superintendent's Advisory Council meeting at 9:00 AM on Thursday, March 21. March Madness will be back at East Hampton High School Friday, March 22nd. Come participate in this long standing tradition and watch your favorite teachers from the entire district play. 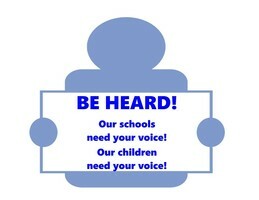 Board of Education Meeting on Monday 3/11/19 at 6:30, East Hampton High School T-Bell Room. Scholastic Book Fair March 11-March 15 in the Center Library Media Center. Open during school hours and most Parent Teacher Conferences. Parent-Teacher Conferences will take place the week of March 11, 2019 at Center School! As a result, Wednesday 3/13 and Thursday, 3/14, students will dismiss early at 1:10 PM. 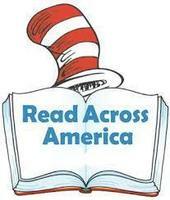 Read Across America is a day held annually on March 2nd that encourages children in every community to read and also encourages parents and teachers to celebrate the joy of reading. Join the East Hampton Elementary PTO for their monthly meeting on 2/25/19 at 6:00 PM at Center School. Board of Education Budget Workshop – Monday, February 25 at the High School T-Bell, 6:30 PM. 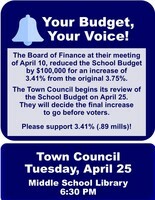 The Board of Education finalizes the Education Budget to be voted on after the Tri-Board Meeting on February 28. 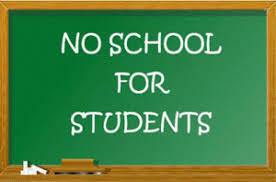 No School for Students on 2/15/2019. The first rehearsal will take place on Tuesday 2/12/19 from 3:30 to 5:00 for all cast and stage crew members. The East Hampton Board of Education will hold a Budget Workshop Meeting on Monday 2/11/19 in the T-Bell at East Hampton High School. We are excited to announce the Center School Invention Convention will take place this Wednesday! Classes will visit the Center School gymnasium on the 6th to take a look at all the amazing inventions. Judging will take place after school and doors open for the public viewing at 5:30 PM. Stop by our invention headquarters to see curiosity and creativity in action! The second day of auditions are set for Tuesday, February 5th with callbacks on Thursday, February 7th. After parts have been selected, a rehearsal schedule will be shared. Rehearsals will take place on Tuesday's and Thursday's after school. 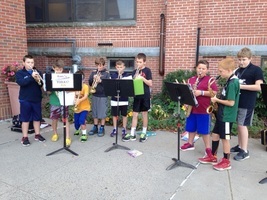 Please join us on Friday 2/1/19 for a demonstration by the Grade 4 band. 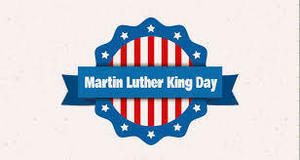 The program will take place at 1:30 in the Center School Gym. The EHE PTO will be holding their January 28, 2019 meeting at the High School beginning at 6:00 in the library. 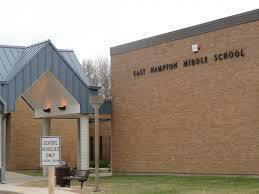 On Friday January 25, 2019 Grade 5 Students will be visiting the East Hampton Middle School. 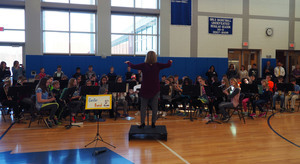 The East Hampton Middle School Winter Concert will be on Wednesday January 16, 2019. The 2019-20 Budget Process begins on Monday, January 14 with the annual budget presentation and time for public comment at the High School at 6:30 PM. We are excited to announce that Author Michelle Nelson-Schmidt will be visiting Center School on January 10, 2019. Mrs. Robinson would like to invite you to the First Annual P.E. Dance Showcase at Center School! Please join us during your child’s P.E. class to watch the 4 short performances they have worked so hard to create. Please see the schedule that was sent home with students to determine when your child will be performing. Center School Music Department Concert TONIGHT! There is still time to join us TONIGHT, Tuesday December 18th at 6:30 PM in the East Hampton High School Auditorium for the Center School Band and Chorus Winter Concert! 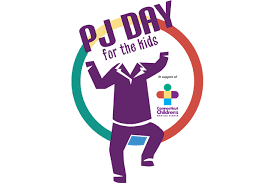 Students and staff of Memorial, Center, and Middle School are invited to wear their PJ’s to school in honor of kids at Connecticut Children’s Medical Center.Please consider an optional donation of $1 or more. Donations will be collected at each school on Friday, December 14. 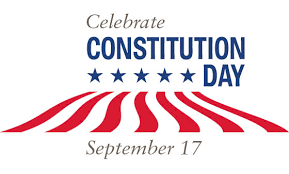 For more information or to make a gift online visit: give.connecticutchildrens.org/pjday. Parent-Teacher Conferences will take place the week of December 3, 2018 at Center School! As a result, Wednesday 12/5 and Thursday, 12/6, students will dismiss early at 1:10 PM. 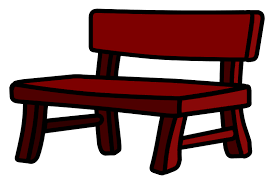 On Tuesday November 13, 2018, the Rushford Academy will be here to present a buddy bench to our school! 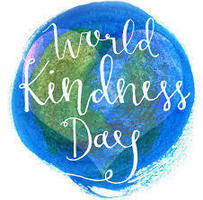 Tuesday November 13, 2018 is World Kindness Day. To celebrate, please consider doing one thing to make our world a kinder place. 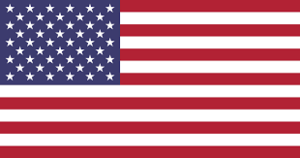 We salute our Veterans’ and thank them for their service, dedication, and sacrifice to our country! 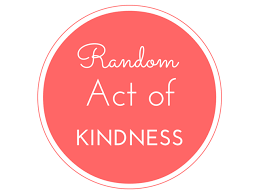 Please join us and participate in Random Acts of Kindness Day on November 2, 2018. 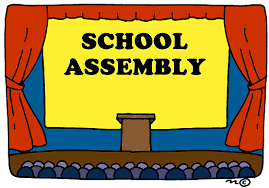 On November 2, 2018 Center School will be having our first PBIS Assembly! 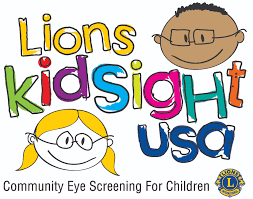 On Wednesday October 24, 2018, the Lions Club will be at Center School providing vision screenings for all students. Our Fifth Grade Students will be visiting the Mashantucket Pequot Museum and Research Center on Friday October 19, 2018. We are pleased to announce that all students at Center School will have the opportunity to meet graphic novelist, Alex Graudins. Ms. Graudins will visit the students on Wednesday, October 17, 2018. Calling all writers and artists to help with the Center School Press. 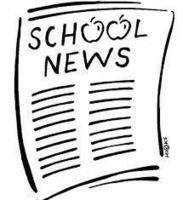 Come be a part of the design of our school news. Join us on Friday October 5th, at 7:30 a.m. in the library for an organizational meeting . 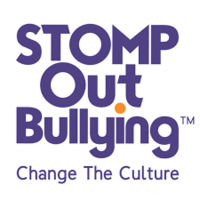 Center School proudly recognizes STOMP out bullying day and we will bring attention to this issue throughout the National Bullying Prevention Awareness Month of October. 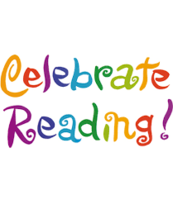 Reading celebrations will take place this Thursday and Friday to celebrate students who completed our summer reading challenge. This week, Center School will participate in Start with Hello Week. 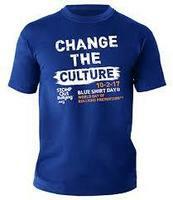 This program enables students to make a difference with their peers in a simple, fun, and impactful way by encouraging them to take small but powerful actions to promote connectedness and inclusion, and to identify and help others who are showing signs of social isolation. The 2018 PANTHERFEST will take place this Friday, 9/21, at East Hampton Middle School from 3:00-9:00. Come cheer on our middle school athletes! Join us this Thursday, 9/20, from 6:30-8:00 for our Open House event. Fall pictures will take place on Friday, 9/14. Smile! We are so excited for the new school year to begin! The energy in our building has been at an all time high! Center School looks forward to a great 2018-19 school year. 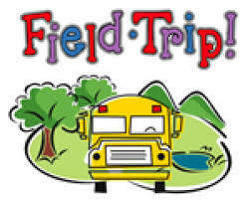 Due to the predicted rain, 5th grade field day will be Thursday, June 14. 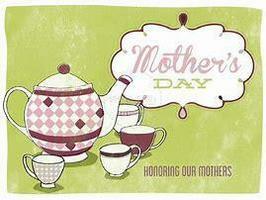 Mother's Day Tea Party is on May 15th at 6:00-7:30 pm at Memorial School.Please bring a dish to share, perhaps baked good or tea sandwiches...Bring your special teacup, we will have raffles, crafts and keepsake photos.This wonderful event is generously sponsored by the PTO. We are extremely proud to announce our very own Emma Kelly was selected from the Regional Competition at UCONN to present at NATIONALS!!! We are very proud of all of our inventors and wish Emma best of luck! Our six Invention Convention finalists will present their inventions at the Regional Competition this Saturday (4/28) at UCONN. Best of luck! 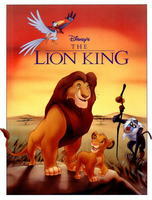 Join us on Thursday and Friday for the Center School performance of Lion King Kids! Evening performances will begin at 7 PM. Stop by the main office to pick up a ticket order form. See you there! Lion King Kids *Save The Date* Public performances will be held April 26th and 27th. 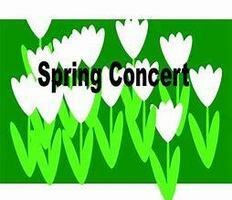 A private performance will be held during the day on April 25th for Center School and the 3rd graders from Memorial. 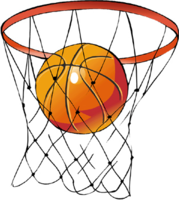 March Madness will be held Friday, Mar 23 East Hampton High School - Gymnasium, 15 North Maple Street, East Hampton, CT 06424 from 2:30-5:00 pm. District Schools vs Schools Basketball fundraiser for John Fidler Memorial Scholarship. The Invention Convention Regionals will be on Sunday, March 18th at the Hamden Middle School at 8:00 am. Good luck to all our finalists! On Sunday, March 18th, Center School inventors will bring their inventions to Hamden Middle School for the Southern Regional competition. 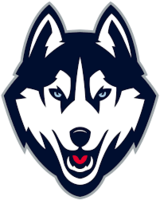 Finalists will be brought forward to compete at UCONN. Wish our young inventors luck! It's National School Breakfast week! Come to school for a delicious breakfast! 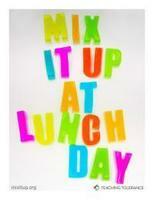 Choose a whole grain Pumpkin, Banana or Pumpkin/ Cranberry Muffin and add a Breakfast Parfait or Smoothie. Milk and additional fruit are also available as part of the meal. Breakfast bars, breads and cereals will be available as always. Check out the special Center School Breakfast Menu via this link. The Center School Invention Convention will take place on Thursday, February 8th. Public viewing will open at 5:30 PM, we hope to see you there! 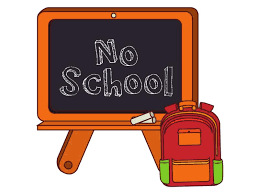 A message from our Director of Food & Nutrition Services Please note that the cafeteria will be serving the scheduled Thursday menu (Chicken Nuggets, Corn Muffin, Zucchini Chips) on Thursday, regardless of what happens with school on Wednesday. Thank you. The Auditions for the Lion King Kids are complete. Director Jennica (Serra) Hull will be contacting families re: callbacks that will be held on January 29th from 3:30-4:45pm in the Center Gym. For more info contact Jennica call/text 860-810-4286 or jennicaserra@gmail.com. 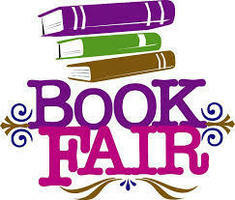 Stop by the Center School library this week and check out our Book Fair! Mark your calendars! 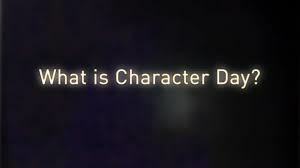 World Kindness Day falls on Monday, November 13th. "Kindness is the common thread that unites us all." 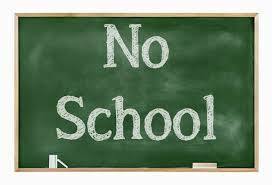 This is a reminder there will be no school for students on Friday or Monday, enjoy the long weekend! 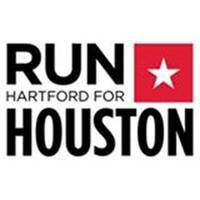 East Hampton teachers and staff members will come together Friday, September 8 at 6:30 AM to Run or Walk a 5K to raise funds for Houston. The event will take place on the East Hampton High School track. 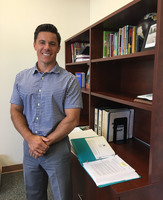 Center School's new Principal, Mr. Chris Sullivan getting settled into his new office. We look forward to a great year of learning and collaborating together! The annual Center School Variety Show is fast approaching! 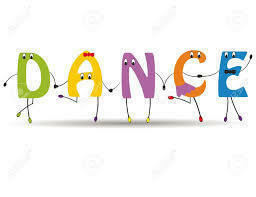 On Friday, June 16th 17 acts will be performed with participation from both our 4th and 5th graders. We can't wait to see so much talent on display! 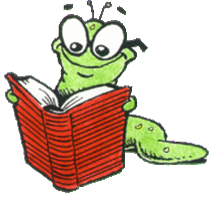 A reminder to all of our Center School Lions...your library books are due back by Wednesday, June 7th! 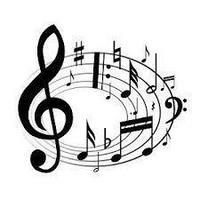 The Center School 4th and 5th Grade Chorus will perform at East Hampton High School on Thursday, June 1st at 6PM for their Spring Concert! The Music Man Cast Party is scheduled for Thursday, May 18th at 8AM! We look forward to celebrating the hard work of the cast and distributing t-shirts to the cast! 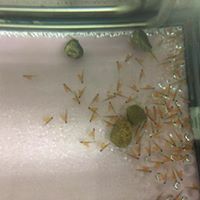 The event is a Pot Luck breakfast! The Center School production of The Music Man Kids is fast approaching! 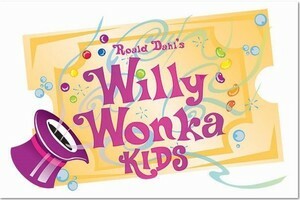 Our evening performances are scheduled for Thursday, April 20th and Friday, April 21st at 7PM. We are so proud of all of our student performers for their dedication. We hope you can join us! 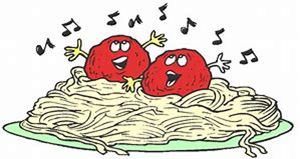 Join us Thursday, April 6th for pasta dinner served by Memorial and Center School staff. Cost is $5 per person and advance reservations are required. Join the fun, cheer favorite staff members, and support the scholarship fund! 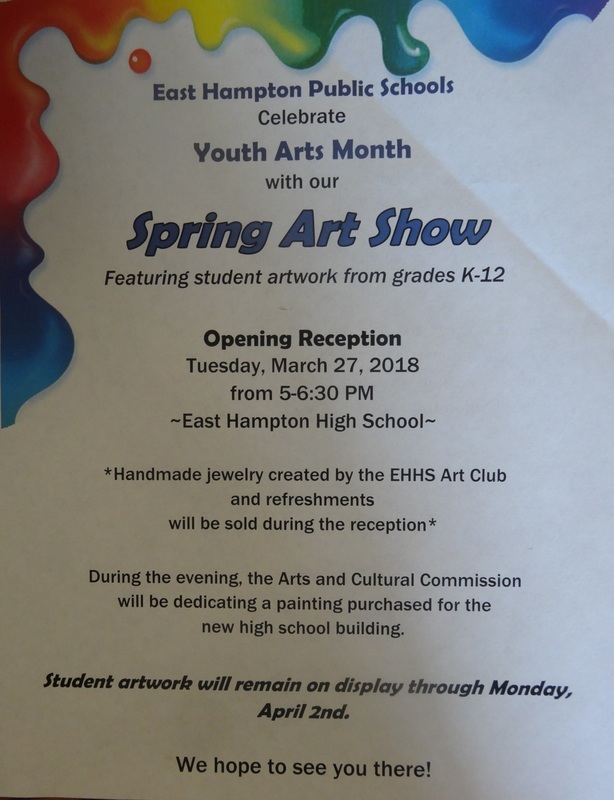 You are invited to join us in celebrating Youth Arts Month on Tuesday, March 21 from 5-6:30 PM at East Hampton High School! Our spring parent-teacher conferences are fast approaching! We look forward to welcoming Center School families the week of March 13th. We will have early dismissal on Tuesday, March 14th and Thursday, March 16th to accommodate conferences. 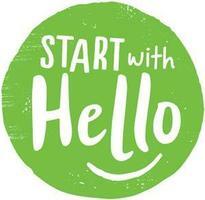 We are excited to share your child's progress with you! Adminsitrative changes for 7/1/17 announced! We are so proud of the Center School Animation Club for their original short regarding the qualities of ROAR behavior at Center School! Check out the entire video on the Center School Facebook page! 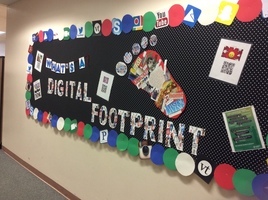 Students at Center School are excited to interact with our library’s new bulletin board display to test their knowledge of digital citizenship and netiquette. Throughout the month of December each class at Center School will assemble a holiday gift basket for their "Senior Buddy". An annual tradition that connects our students with East Hampton's senior community, the Senior Gift Baskets allow us to spread Center School joy and holiday cheer! 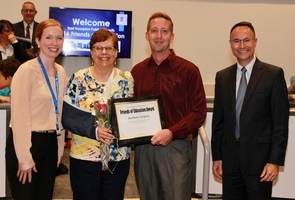 Center School has a strong tradition of engaging our students in the Connecticut Invention Convention process and even sent a student to national competition in Washington, D.C. last year! Invention Convention Kick Off for grade 5 will take place on December 5th and for grade 4 on December 8th! Mark your calendars! 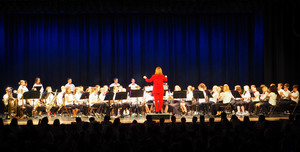 The Center School Winter Concert is scheduled for Wednesday, December 14th at 6:30PM at the East Hampton Middle School. We can't wait to see our band and chorus members in action! Parent-Teacher Conferences will take place the week of November 14th at Center School! 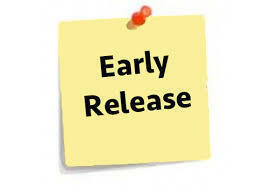 As a result, Tuesday, 11/15 and Thursday, 11/17 students will dismiss early at 1:10 PM. 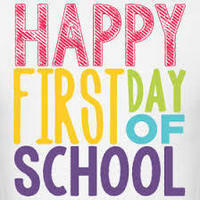 We look forward to seeing all Center School parents throughout the week! Congratulations to Alyssa Snyder - Center School's newest Student Council President! Congratulations to the Center School recipients of the Friends of Education award! Thank you to Jo Ann Ewing and Barbara Sargent for your dedication to the students and staff of Center School. We are incredibly grateful for your time and energy! Nutmeg nominees are on their way! Check out this ThingLink to learn about the 2017 titles at https://goo.gl/IPhmmI. Center School is focused on growth and always achieving one's personal best. We focus on recognizing our successes (glowing!) and how we need to improve (growing!). How do you glow and grow? 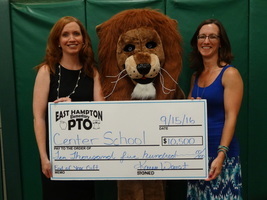 Thank you again to the EHEPTO for the generous donation to Center School! 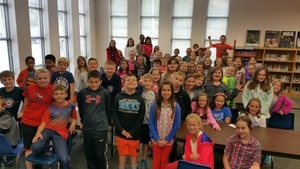 PTO funds support a range of student-centered events and instructional resources. This year, the PTO gift is supporting student access to myON and over 50 new Chromebooks. Thank you!